Hyundai was supposed to get Apple CarPlay for its 2015 model year vehicles, but things didn't quite pan out that way. Repeated delays have annoyed customers, but thankfully there seems to be a light at the end of the tunnel. 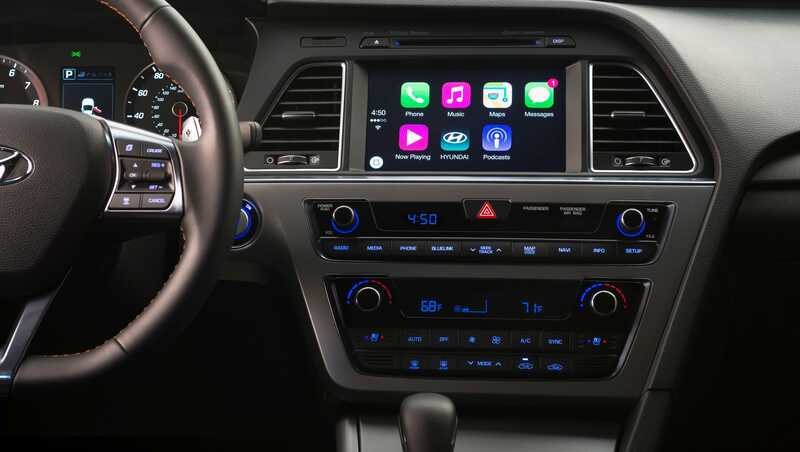 Hyundai Sonata owners will be able to upgrade to Apple CarPlay in Q1 2016. Hyundai says owners will have to buy an SD card with new software to get the system. That contradicts the company’s earlier assurance that the system would be a free download for customers who bought a properly equipped 2015 or ’16 Sonata midsize sedan. Hyundai already offers Android Auto in the cars for Google phone users at no additional charge. Anyone reading this with other Hyundai models should give the Hyundai site here a look, other Hyundai models have this update available, don't miss out. Can't wait for the days when we can do over the air updates. Over the air updates are going to be great as if you've noticed, a lot of new vehicles in general have tons of infotainment issues. If we could get over the air updates, it would make our lives so much easier as we won't have to go out to the dealership, book an appointment, and wait.